What does Stage 1 look like? This sample page spread comes from Dad's Birthday and Other Stories . 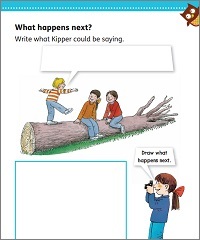 Why not try this free Stage 1 eBook with your child? Enjoy sharing and talking about books. Join in with songs and nursery rhymes. Recognise most of the letters of the alphabet and know one simple sound for each letter. Read a few simple words by sounding out and blending, e.g. s-a-t, sat. Start to recognise a few common tricky words like 'and', 'the'. Talk about a story they have read or listened to. 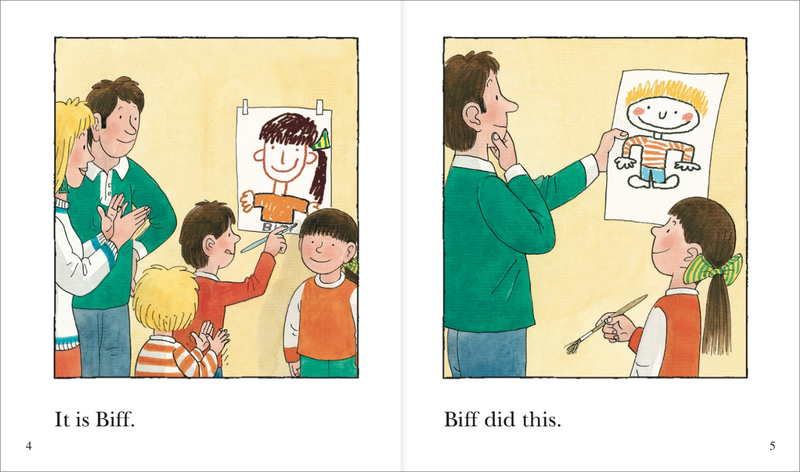 Relate books to experiences in their own lives. Concentrate for about 5–10 mins. 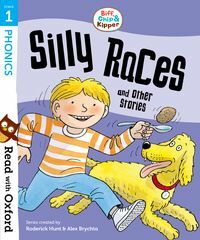 Our Stage 1 collections contain stories that are ideal for children who are just beginning to read, and activities featuring favourite characters like Biff, Chip and Kipper.